Before removing the fan/heat sink assembly, you need to remove the keyboard. If you are not sure how to remove these parts, you can refer to the post How to Remove the keyboard from HP Envy 15. 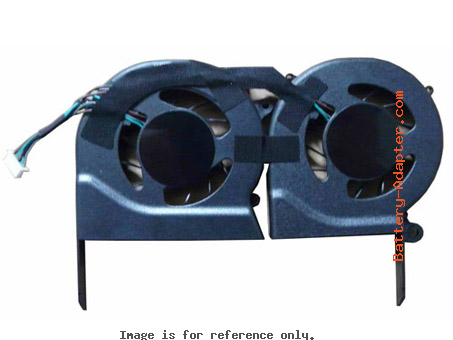 In HP Envy 15, there are two fans, one is for CPU and the other one is for GPU. 1. Disconnect the fan cable 1 from the system board. 2. 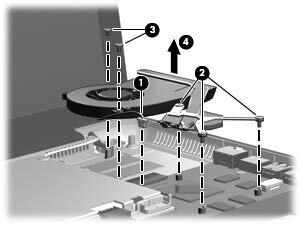 Following the 1, 2, 3, 4 sequence stamped into the processor fan/heat sink assembly, loosen the four Phillips PM2.0×6.0 captive screws 2 that secure the processor fan/heat sink assembly to the system board. 3. 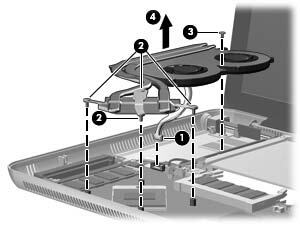 Remove the Phillips PM2.0×3.0 screw 3 that secures the processor fan/heat sink assembly to the system board. 4. Remove the processor fan/heat sink assembly 4. 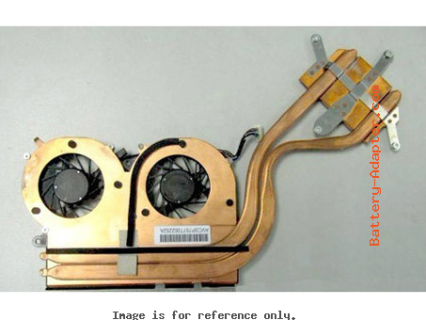 ✎Due to the adhesive quality of the thermal material located between the processor fan/heat sink assembly and system board components, it may be necessary to move the processor fan/heat sink assembly from side to side to detach it. 2. Following the 1, 2, 3 sequence stamped into the video fan/heat sink assembly, loosen the three Phillips PM2.0×6.0 captive screws 2 that secure the video fan/heat sink assembly to the system board. 3. Remove the two Phillips PM2.0×3.0 screws 3 that secure the video fan/heat sink assembly to the system board. 4. Remove the video fan/heat sink assembly 4. ✎Due to the adhesive quality of the thermal material located between the video fan/heat sink assembly and system board components, it may be necessary to move the video fan/heat sink assembly from side to side to detach it. 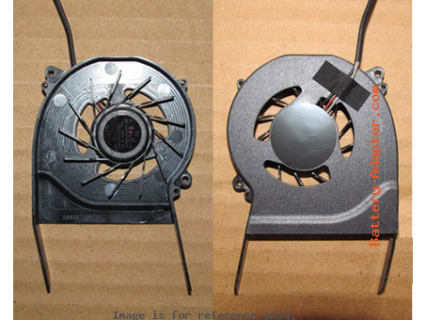 Reverse the procedure to install the HP Envy 15 fan.